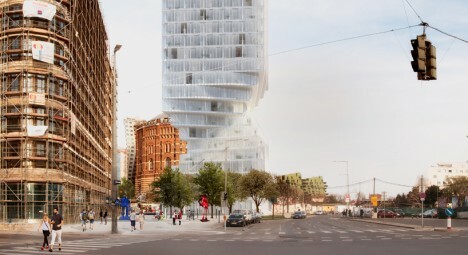 In order to get around strict city zoning regulations that forbid new structures from putting neighbors in the shade for more than two hours a day, architecture firm MVRDV devised a tower that twists upon itself to the point of seeming as if it could snap and fall over at any time. The twist creates an ultra-narrow profile right at the section of the building that would cast a shadow on nearby buildings. 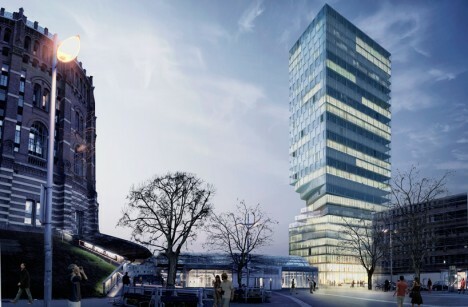 From certain angles, it seems like chunks of the Hochhaus Tower have been taken right out near the base in a Jenga-like effect. Not only does this mean the bottom ten floors won’t cut off sunlight, it also routes strong winds away from the building’s plaza. 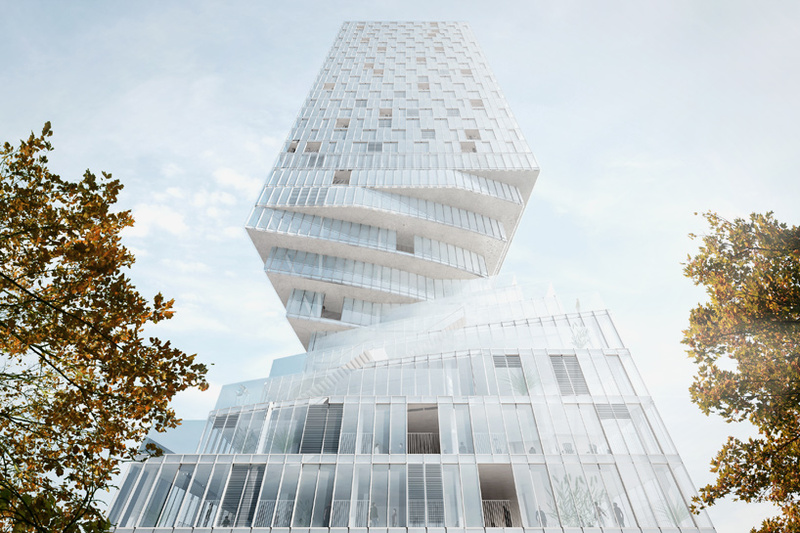 The twisting floors have outdoor terraces, while the rest feature glazed walls and 12-foot ceilings for sweeping views of Vienna and lots of natural daylight. 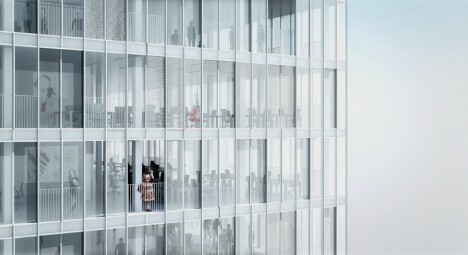 The steel and glass facade will also have operable windows and full-height French doors. 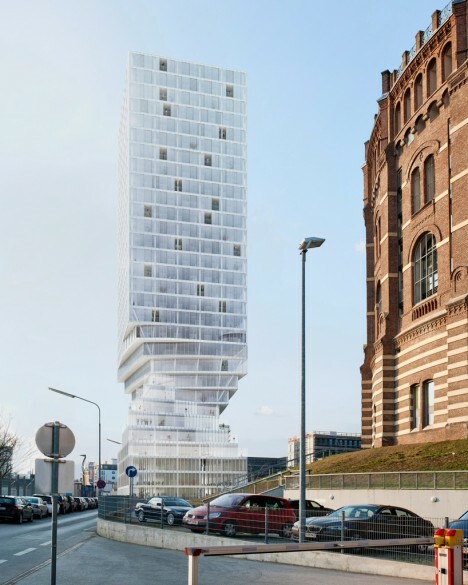 Designed to be multifunctional for residential units, offices or other businesses, the Hochhaus Tower won three-stage international competition. Construction will begin in 2016, with an expected completion date of 2018.